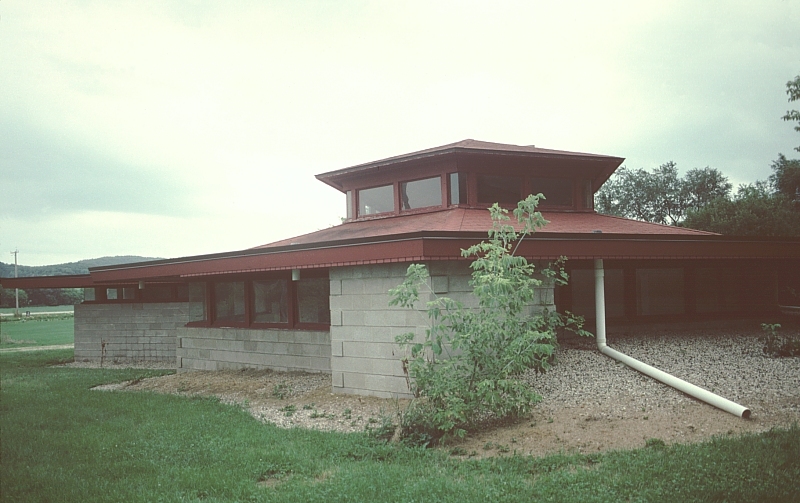 Wright donated his design for this school in the town of Wyoming--a school consolidating several one-room schools. 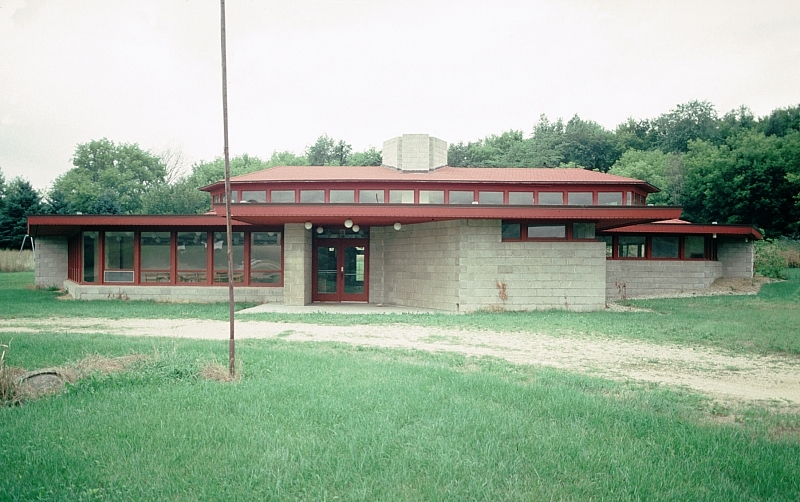 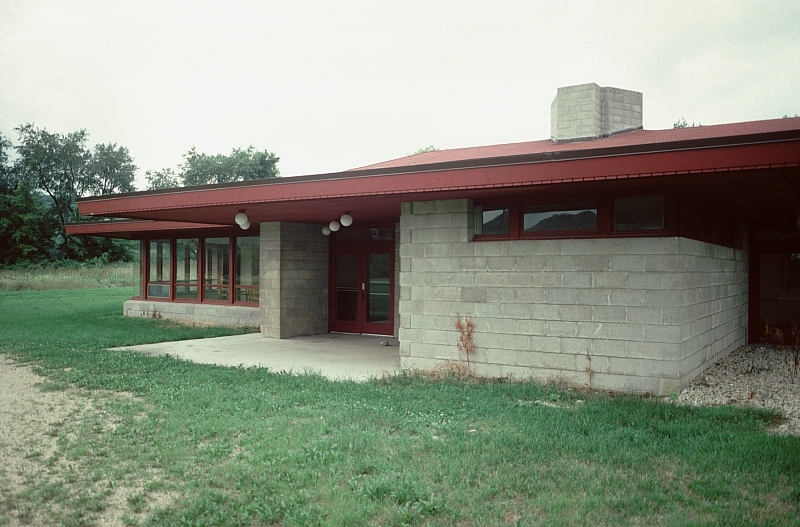 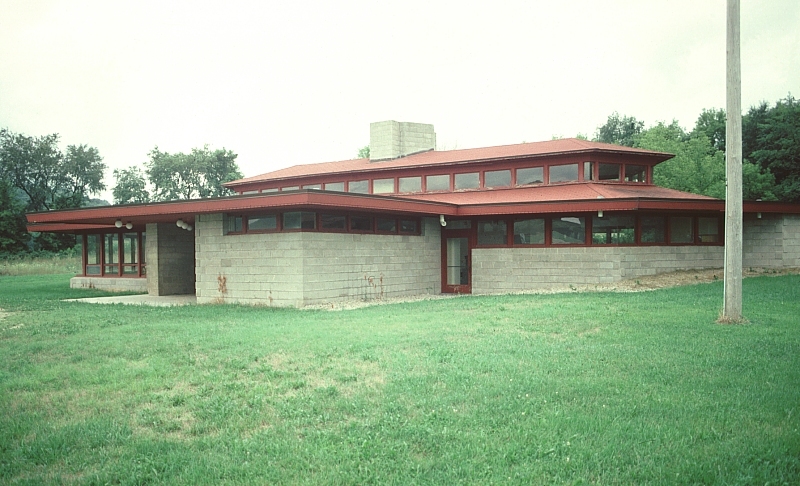 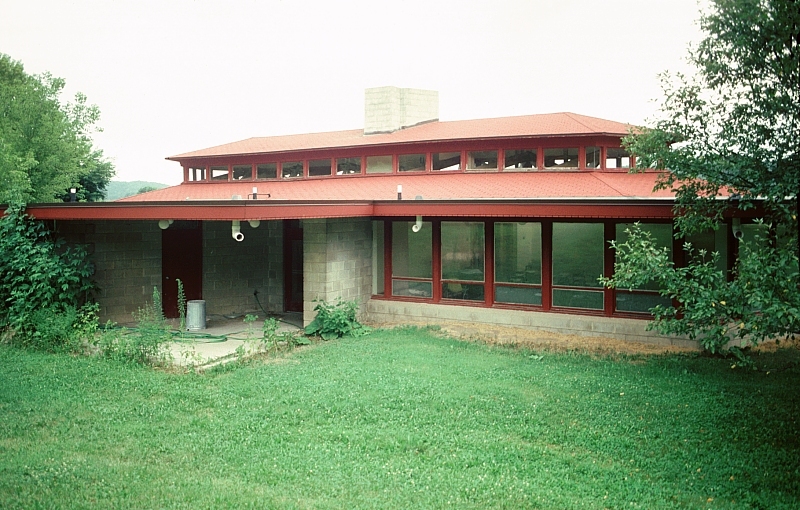 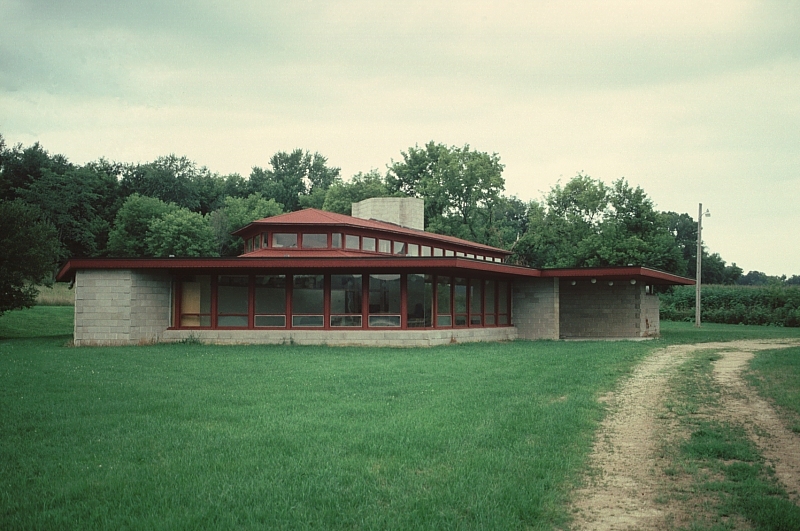 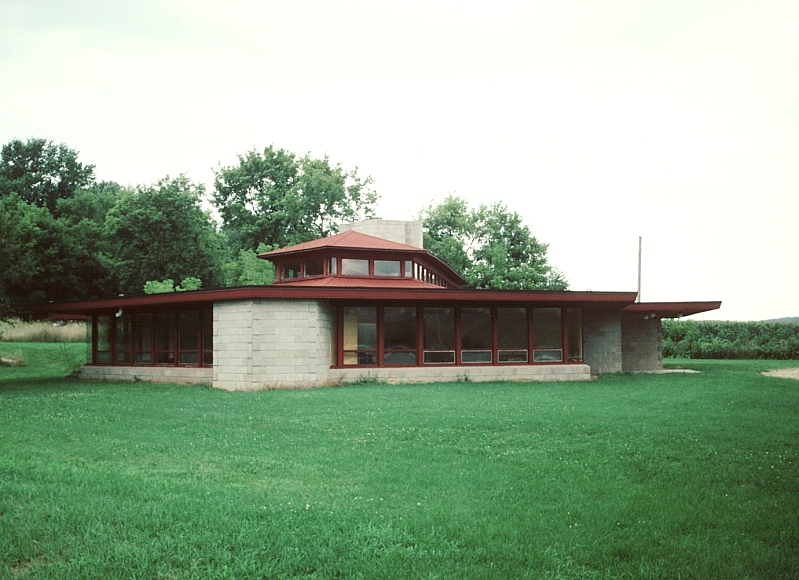 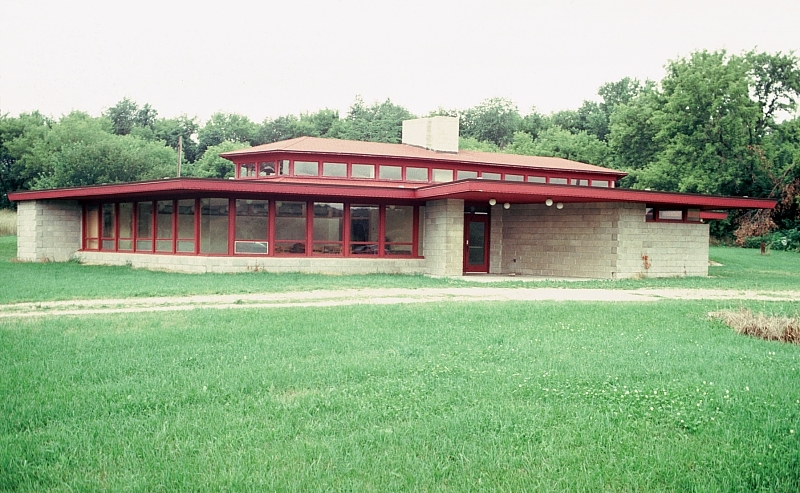 It is located a few miles from Wright's summer residence and the home of the Taliesin Fellowship. 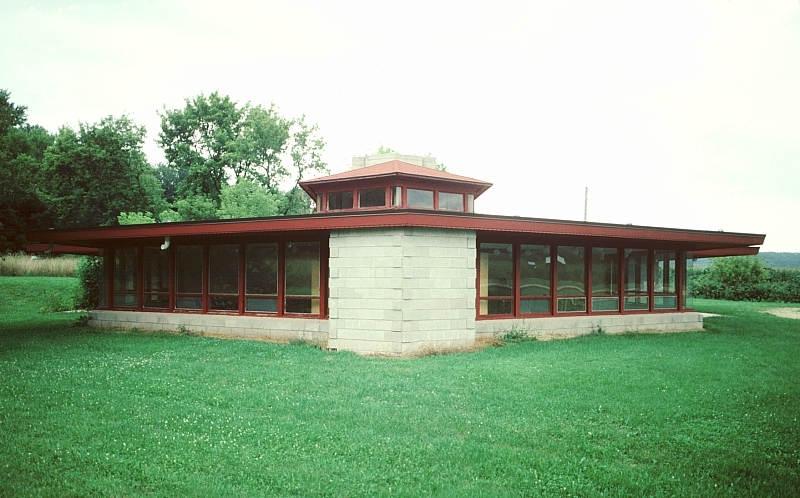 The simple structure is made of concrete blocks, with concrete floors and wood trim. 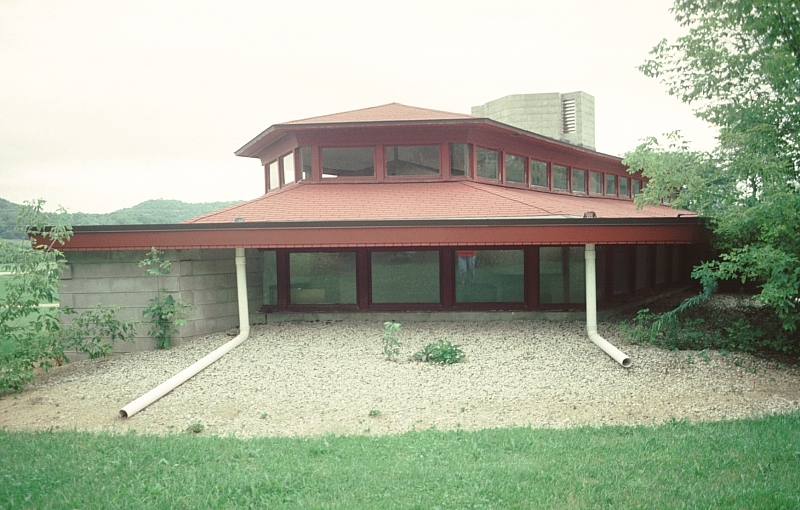 An elongated hexagon in plan, it has a raised roof with clerestory windows. 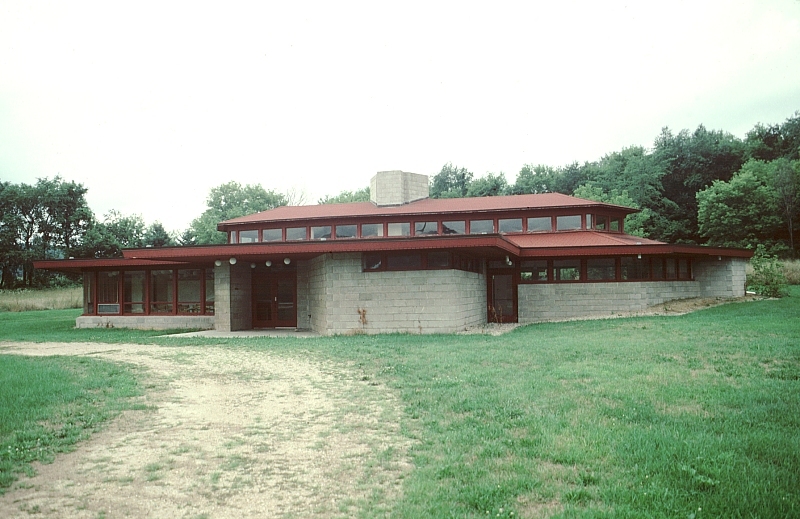 Like Wright's domestic architecture where the hearth represents home, here as well two huge fireplaces dominate the center.